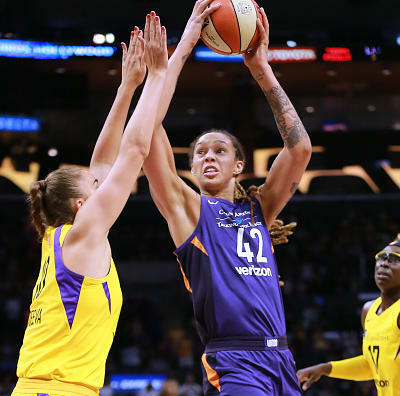 Steve Pimental provides the best DFS plays and optimal lineups for Friday's three-game WNBA slate. 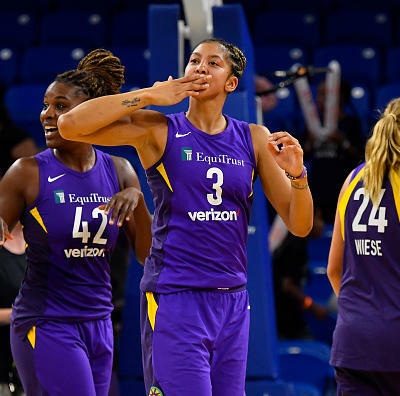 In Tuesday’s DFS WNBA Playbook, I discussed the necessity of playing more mid-priced players due to the relative health of players around the league. I didn’t make this point on Tuesday, but unless you have a couple of punt plays you can trust, it is especially difficult to afford any of the studs on FanDuel. In any event, that is the case again Friday. With just three games on the schedule, I found I was forced to fade players like Jewell Loyd and Maya Moore who I really like but just couldn’t afford. I was able to pay for a couple of studs on DraftKings but not as many as I would like. Fortunately, there are some mid-priced players with upside who should serve our purposes nicely. Let’s get right to it. 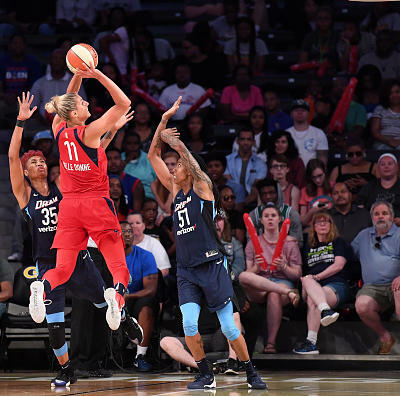 Elena Delle Donne, F, WAS $ 8,700 $ 13,200 Delle Donne had 23 points and 11 rebounds against Las Vegas earlier this season despite not shooting particularly well. She has at least 23 and 10 in three of her last five games, and even when she struggles, she is a lock for 30+ fantasy points. 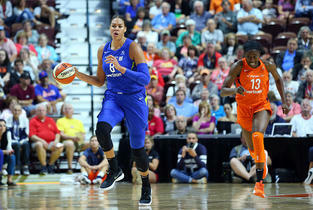 Maya Moore, F, MIN $ 8,100 $ 12,100 Even after she managed just eight points in 25 minutes at L.A. Thursday, Maya Moore is still averaging 20.2 points and 5.5 rebounds on the road compared to 15.5 points and 4.5 rebounds at home. 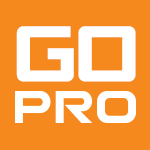 Courtney Vandersloot, G, CHI $ 8,000 $ 10,500 Vandersloot is riding a streak of four consecutive double-doubles, and there is no reason to expect her to slow down anytime soon. 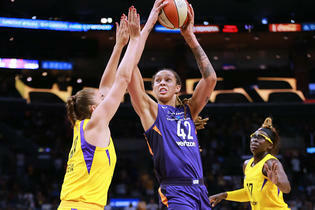 She had eight points, three rebounds and 11 assists against Atlanta earlier this season. 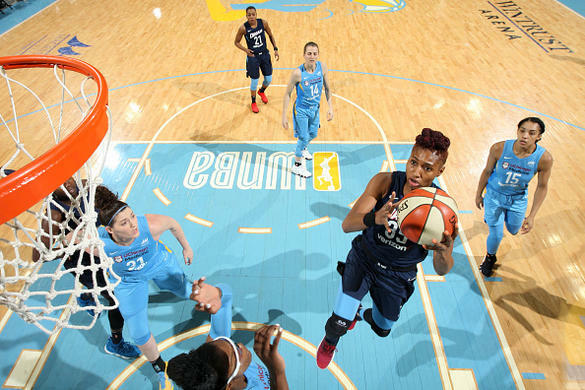 Angel McCoughtry, F, ATL $ 7,500 $ 9,900 McCoughtry is the cheapest she has been since the start of the season, but we know her ceiling is as high as anyone's. The Sky have allowed the 10th most fantasy points to opposing forwards this season. 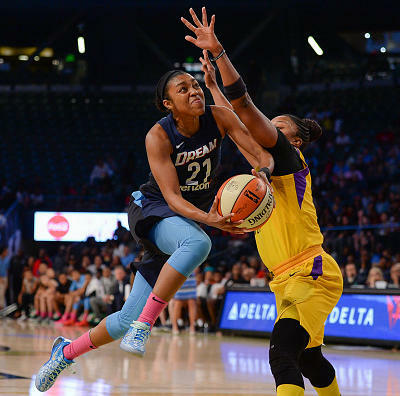 Tiffany Hayes, G, ATL $ 7,400 $ 8,500 No team has allowed more fantasy points to opposing guards than the Sky this season. 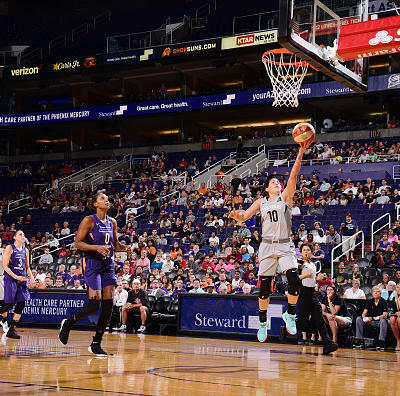 Hayes has scored at least 25.5 fantasy points on DraftKings in each of her last five games. 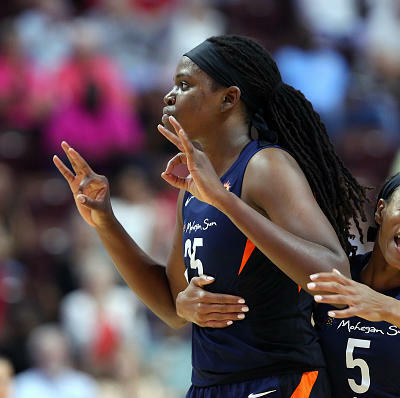 LaToya Sanders, F, WAS $ 6,400 $ 8,400 No team has allowed more blocks than the Aces this season, and LaToya Sanders has at least one block in each of her last six games. Jessica Breland, F, ATL $ 7,300 $ 8,300 The Sky have allowed the second most blocks in the league this season, and Jessica Breland is third in blocks per 40 minutes. 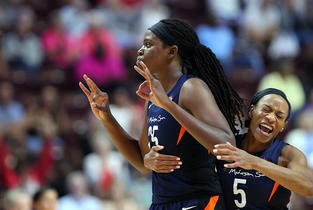 Breland has come back down to earth a bit in her last few games, but her upside against her former team is undeniable. 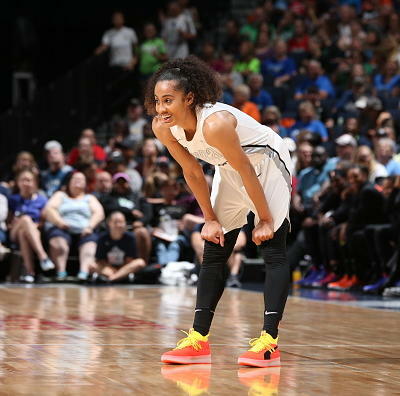 Kristi Toliver, G, WAS $ 6,200 $ 7,800 No team has allowed more made threes than the Aces this season, and Toliver is third in the league in three-point attempts. 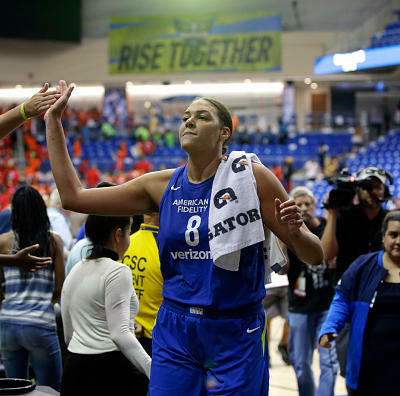 Stefanie Dolson, F, CHI $ 5,900 $ 7,400 Dolson has been great against Atlanta this season, averaging 11.0 points, 5.5 rebounds, 4.0 assists, 2.5 blocks and 1.0 steals in just 27.1 minutes per game. Elizabeth Williams, F, ATL $ 6,600 $ 7,100 Williams is sixth in blocks per 40 minutes. 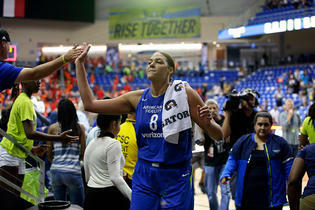 She is averaging 12.0 points, 6.0 rebounds, 3.5 assists and 1.5 blocks against Chicago this season. 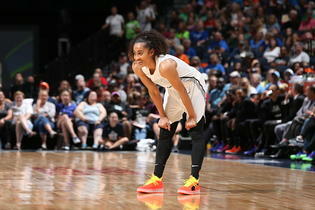 Tamera Young, G, LV $ 6,000 $ 6,700 Unlike A'ja Wilson and Kayla McBride, Tamera Young has been just as good on the road as at home. 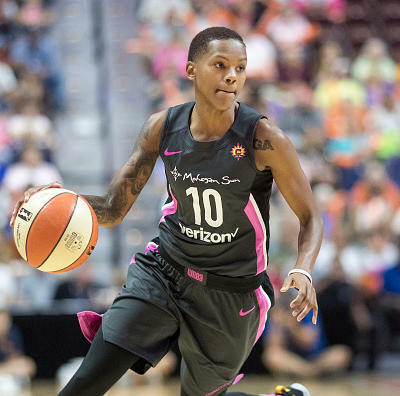 Young's field goal attempts have been down of late but so is her price, and she is one of the best in the league at finding other ways to contribute when she isn't scoring. 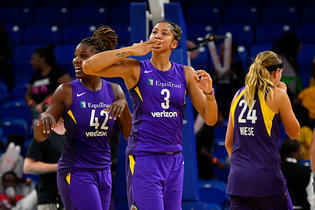 Natasha Cloud, G, WAS $ 4,700 $ 6,300 Cloud was solid in her first game back from a concussion, with 11 points, three rebounds and four assists in 28 minutes. She will never be the focal point of Washington's offense, but at home against Las Vegas, even the secondary options should be quite valuable. Seimone Augustus, G, MIN $ 5,400 $ 5,800 Augustus is a cheap GPP play. 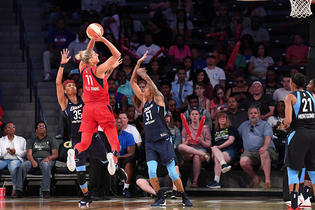 She scored just six points Thursday, but she had at least 13 in each of her last three games prior to the All-Star break. She will be a fine value if she can knock down a few more shots Friday. Alysha Clark, F, SEA $ 5,800 $ 5,700 I wanted to get more Seattle players in my lineups, but they are all so expensive. 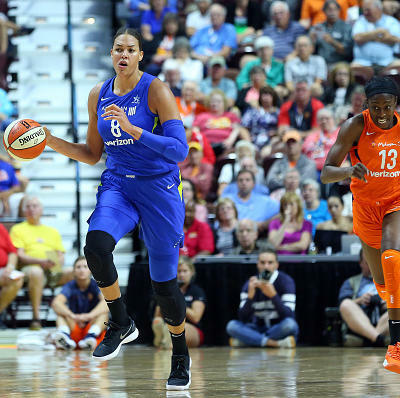 Clark is more reasonably priced, especially on DraftKings, and I think she and her teammates have a chance to take advantage of an old Minnesota team that played the night before. 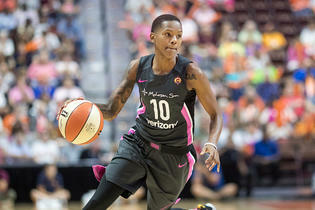 Aerial Powers, F, WAS $ 3,900 $ 3,600 In her first game with her new team, Aerial Powers played 19 minutes, her highest total in more than a month. She had 10 points and six rebounds in that game, and she could be a solid cash play with her new team.